Fifteen-year-old Charley Thompson wants a home; food on the table; a high school he can attend for more than part of a year; and some structure to his life. But as the son of a single father working at warehouses across the Pacific Northwest, he’s been pretty much on his own for some time. 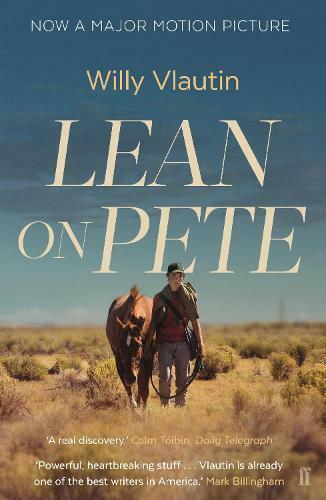 Lean on Pete opens as he and his father arrive in Portland, Oregon and Charley takes a stables job, illegally, at the local race track. Once part of a vibrant racing network, Portland Meadows is now seemingly the last haven for washed up jockeys and knackered horses, but it’s there that Charley meets Pete, an old horse who becomes his companion as he’s forced to try to make his own way in the world.